Each server in the farm has a role assigned to it. It is either a Single Server, a Web Front End, or an Application server. Single Server implies that there is only 1 server in the farm that serves all roles: database server, central admin, indexing, web front end, etc. Web Front End implies that there may be more than 1 server in the farm, but the role of this server is dedicated to serving web based content. Application implies that there may be more than 1 server in the farm, but this server has multiple roles in the farm – where at least one of those roles is not serving web based content… but one of the roles could be. So, for servers that have a role of Single Server or Web Front End, we count as a Web Front End. For servers that have a role of Application (or Invalid – this is a server that’s not completely set up), we look at all of the services that that server offers. If any of the services performed by a given server is the Web Service Instance, we count that server as a Web Front End as well. The Web Service Instance implies that the server is capable of acting as (and in some cases will be used as) a Web Front End. 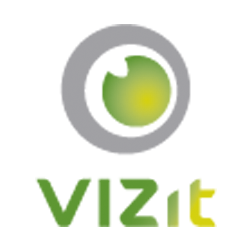 We know that some servers who have a Web Service Instance are not being used to serve web content to clients and therefore will not be running Vizit. To address this, we introduced per-server licensing in 4.0 which allows system administrators to specify which servers in their farm should be licensed to run Vizit. In Central Administration, there is a list of all servers running the Web Service Instance with checkboxes next to each server name. Simply check the box next to the desired servers when activating your license, and you’ll be all set.